Our range of products include insulating castables, insulyte-7, insulyte-9, insulyte-11, insulyte-13 and insulyte-15. 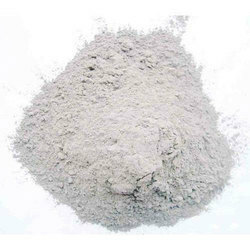 We offer to our clients a wide spectrum of Insulating Castables. These are developed using superior quality material procured from vendors of high repute in the market. The range is used for forming strong joints. 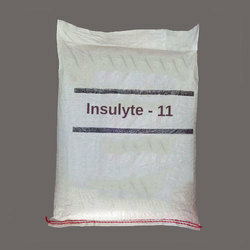 As a quality focused firm, we are engaged in offering a high-quality range of Insulyte-7. We are a well-renowned organization in the industry to provide our patrons the best quality array of Insulyte-9. We are remarkable enterprise, instrument in offering superior quality Insulyte-11. Being a leading enterprise of this industry, we are offering a huge range of Insulyte-13. Owing to our skilled and trained professionals, we are engaged in offering a wide range of Insulyte-15 that is developed using optimum quality material at our vendor's ends. Primarily used for forming strong joints, the range is widely used in metallurgy, building material and petrochemical industries. Furthermore, these products are highly demanded by the clients located across the globe.